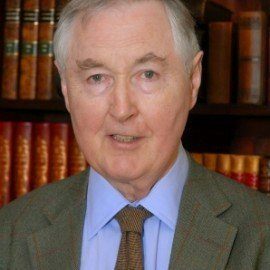 Archie Brown is a British political scientist and historian who taught for 34 years at Oxford University where he is now Emeritus Professor of Politics and Emeritus Fellow of St Antony’s College. 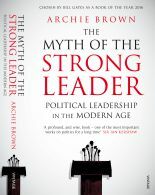 His most recent book, The Myth of the Strong Leader: Political Leadership in the Modern Age, was published by Bodley Head and Basic Books in 2014 (Vintage paperback, 2015). It was named by Bill Gates as one of the Best Books he read in 2016. 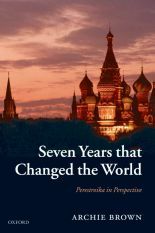 He is currently completing a book on Mikhail Gorbachev, Ronald Reagan and Margaret Thatcher and the end of the Cold War. 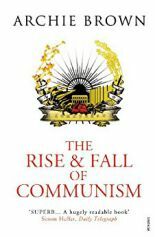 His earlier books include The Gorbachev Factor (Oxford University Press, 1996) and The Rise and Fall of Communism (Bodley Head and Ecco 2009), both of which won the W.J.M. Mackenzie Prize for best politics book of the year from the Political Studies Association (PSA) of the UK. Both also received the Alec Nove Prize. Before coming to Oxford Professor Brown taught at Glasgow University and he has also been a Visiting Professor at Yale, Columbia University and the University of Texas at Austin, as well as Distinguished Visiting Fellow of the Kellogg Institute for International Studies at the University of Notre Dame, Indiana. A Fellow of the British Academy since 1991, he was elected a Foreign Honourary member of the American Academy of Arts and Sciences in 2003. He was appointed CMG in the Queen’s Birthday Honours list of 2005 and he received a Lifetime Achievement Award in Political Studies from the PSA in 2010 on the 60th anniversary of the association’s foundation. His writings have been translated in seventeen different countries.